Link your Community Rewards card here, using our unique nonprofit number Q1717. Want to grant an LWC Wish? Simply log onto smile.amazon.com, sign into your Amazon account and choose the Luckiamute Watershed Council as your designated charity! 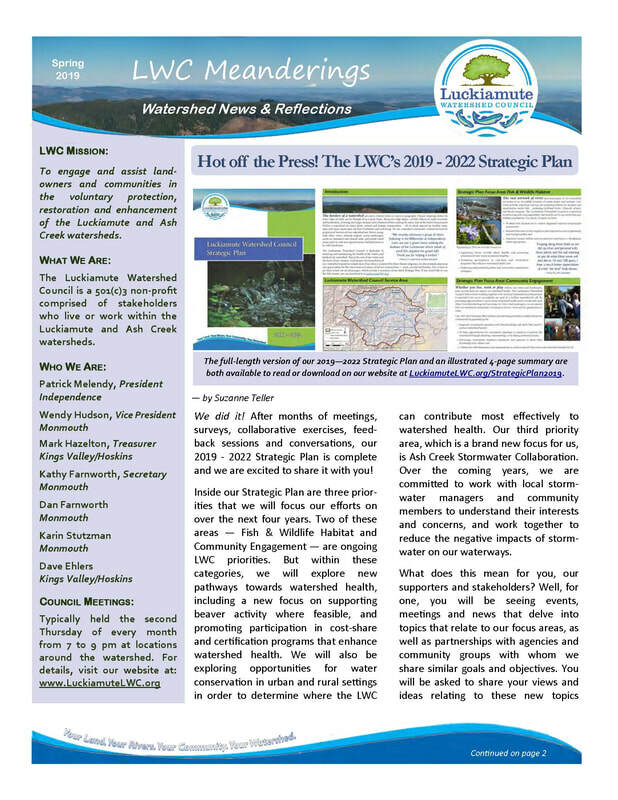 The Luckiamute Watershed Council (LWC) is a volunteer group of neighbors from diverse perspectives working together to lear﻿﻿n about the watershed and doing what they can to improve local water quality and habitat conditions. Our mission is "to engage and assist landowners and communities in the voluntary protection, restoration and enhancement of the Luckiamute and Ash Creek watersheds." We seek to foster good stewardship of natural resources and to develop an improved understanding of the area’s biological diversity. Use the slider below to explore the change in vegetation along the Luckiamute River at Luckiamute State Natural Area! Click here for more details. 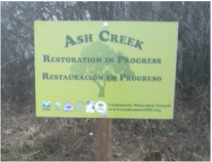 Ash Creek Restoration Project in Progress! 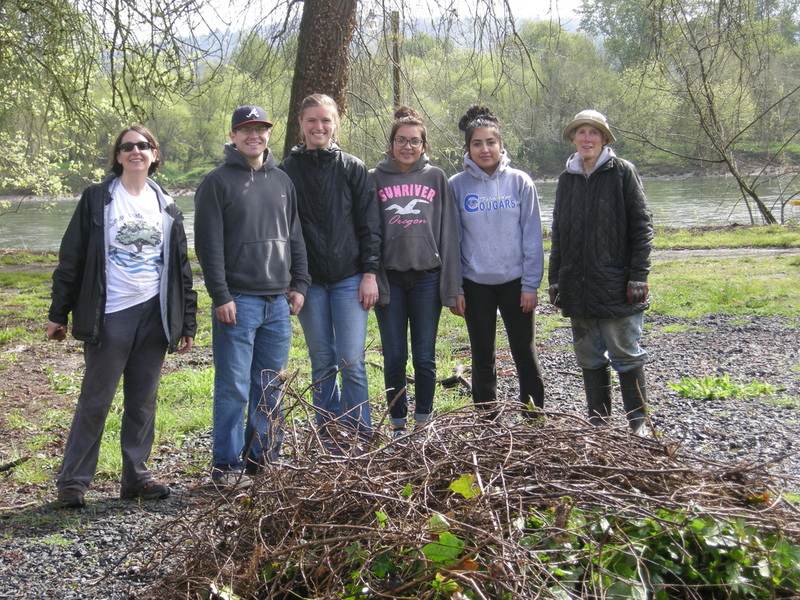 Thanks to neighboring landowners, and the support of our donors and project partners, we are making progress in controlling invasive weeds along the Ash Creek corridor! Read more here. 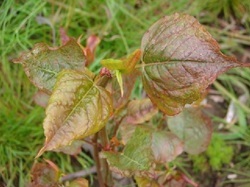 Click here to find out what we are doing to eradicate invasive Japanese knotweed in our watershed, and how you can get involved. 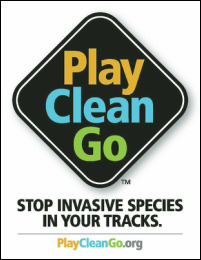 Help us knock out knotweed! Do you have a special skill that you would like to contribute? Would you like to earn college credits while putting your talents to work in your community? Or are you just itching to get outdoors and help restore streambank habitat? Joining our awesome team of LWC Volunteers just might be the perfect answer for you!